Bruce Wayne is still traumatized from that day he fell into the earth and was surrounded by bats, or that night his parents were murdered. But when he arrives at the headquarters of the League of Shadows, he must conquer his fears and start his training. However, he learns that some things are not right for him in the League and he flees, having learned skillful combat and he saves his mentor's life. When he returns to Gotham, he learns that Scarecrow is planning to dump a dangerous drug into the water supply to spread fear and panic throughout the population, only to learn that this plan is being maneuvered by someone much more familiar... Gotham might tear itself apart. Wayne must finally find a hidden identity and gain new power to save his city: Batman. As a boy a young Bruce Wayne watched in horror as his millionaire parents were slain in front of his eyes, a trauma which led him to become obsessed with revenge but his chance is cruelly taken away from him by fate. 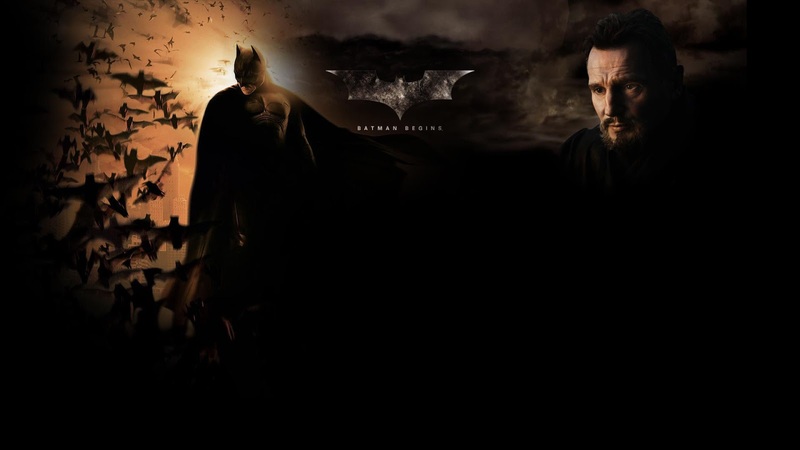 After disappearing to the East where he seeks counsel with the dangerous but honorable ninja cult leader known as Ra's Al-Ghul, he returns to his now decaying Gotham City overrun by organized crime and dangerous individuals manipulating the system whilst the company he inherited is slowly being pulled out from under him. The discovery of a cave under his mansion, and a prototype armored suit leads him to take on a new persona, one which will strike fear into the hearts of men who do wrong - he becomes, Batman. In the new guise, and with the help of rising cop Jim Gordon, Batman sets out to take down the various nefarious schemes in motion by individuals such as mafia don Falcone, the twisted doctor/drug dealer Jonathan 'The Scarecrow' Crane, and a mysterious third party that is quite familiar with Wayne and waiting to strike when the time is right.